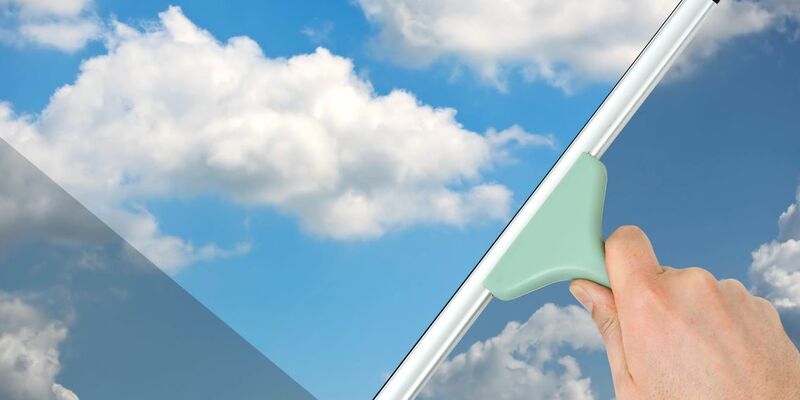 We specialize in providing a safe, professional window cleaning service for homes and business from one to five stories. We also offer gutter cleaning, solar panel cleaning, and gutter whitening services! Shining Windows (owned by Joel and Lindsay Lamb) arose from a family business started in Western Kentucky in the 1980s. In addition to the experience gained by working with his father, Joel was tutored for two years by Paul West, former president of the International Window Cleaning Association. Together, they serviced the windows on some of the finest homes, resorts and businesses to be found on the Big Island of Hawaii. Now joined by his wife Lindsay, their team is helping to beautify homes and businesses in Kentucky, Tennessee, Indiana and Illinois. 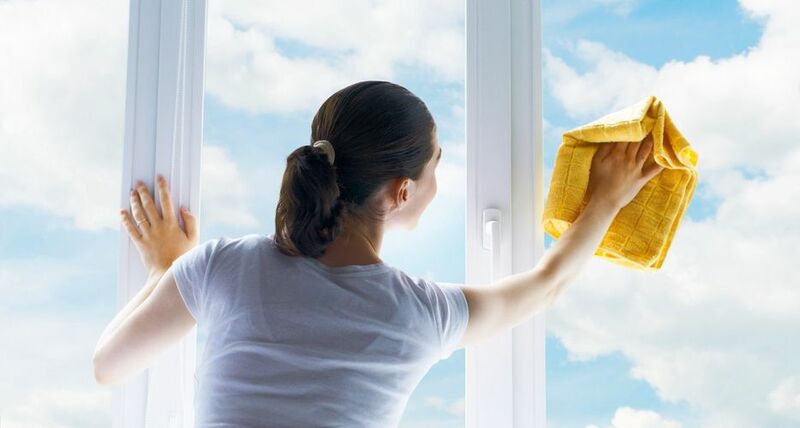 You can trust that Shining Windows will treat your home or place of work with respect, that you will be satisfied with our services and that the work will be performed in a safe and professional manner. 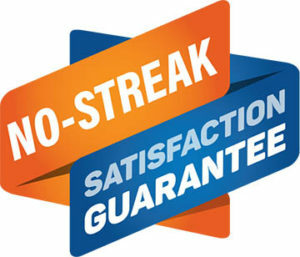 Your windows will look great when we finish, but Just in case, we offer a No-Streak Satisfaction guarantee. If for any reason you are not pleased with the work we performed, let us know and we’ll make it right. All we ask is that you contact us within 36 hours of your window cleaning service so that we can promptly address your concern. Shining Windows washed our windows and did an exceptional job. We will definitely use them again. Great Service! Always does a fantastic job! Joel from Shining Windows started taking care of our windows at 911 Billing Service about a year ago. We are in a large office with people coming and going so it's nice that he is quiet and quick at cleaning the windows and entry ways so as not to disrupt work. I appreciate Shining Windows profession approach to window cleaning- from what they wear when they are here, to the vehicles they drive, to their billing process that gives us an actual receipt through text or email so that we have good records for our accounts payable department. Joel at Shining Windows came by Madisonville City Hall and asked to give us a quote to clean the windows. Madisonville City Hall has a lot of windows including a 2nd story that is difficult to reach. We agreed to let him do it and what a difference it made. Joel was very professional and meticulous in detail. The before and after pictures are unbelievable. I highly recommend Shining Windows to clean your windows. This crew is the best! They are excellent at their job, fast and efficient! Very good company to work with. Great price for a great service! You will get a very fair price for the hard work they do. I mean, cleaning windows is a huge hassle and the average person rarely gets them streak free, even putting in tons of effort. Having the right tools for the job is essential. You won’t regret hiring this team! Full disclosure: I’ve watched Joel’s work for years and have even worked with him in the past on dozens of jobs. 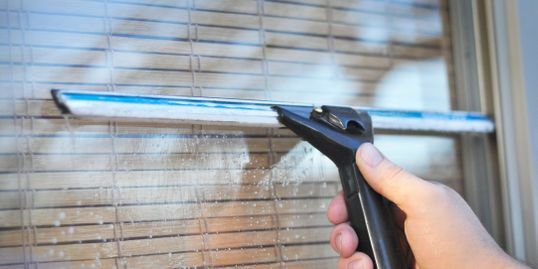 He has 10+ years of experience with cleaning windows and is incredibly meticulous and detailed. He takes excellent care of his customers and treats them as a close friend. Any furniture that needs to be moved out of the way is treated like fine china, delicate windows are treated the same way.If you hire Shining Windows to clean your windows, you’re hiring the best in service and quality at a fair price. You will NOT be disappointed. Some companies offer promises of fast and friendly service but deliver nothing more than empty slogans. Joel Lamb with Shining Windows is fast at what he does and friendly in working with all. He delivers honestly and quality to the highest degree. Shining Windows has my vote for your number one choice for window cleaners. Joel is a hard worker with the ability to listen to instruction. Whenever I had the chance to work with him, he was punctual and eager to tackle the task ahead. This guy is very knowledgeable! He has come from a whole family of window washers! I've known Joel since he learned the business from his father. We have a large home on Kentucky lake with massive windows and Joel has always been professional, proficient and a pleasure to work with. Exceptional!! Thank you, Joel! I have never seen glass cleaned so good that I can see my reflection on the window and reflection of the outside on the windows. Shining Windows is the best window cleaning company on the planet!! I don’t usually leave reviews, but Joel and his wife are amazing! Extremely professional, spectacular job cleaning our windows, attention to detail, extra time and attention was given getting dried spackle off several windows etc. I am extremely satisfied. Their the kindest people and their notification text informing me they were en route etc.... it was all perfect! So happy I went with them. Top of the line equipment, extremely well maintained etc. I could go on, truly had a great experience! I had my windows cleaned a couple months ago and Joel did a fanastic job. Said he would be there at 10 am and to my surprise , he was spot on.Very impressed and will do it again in a few months, still look good now. 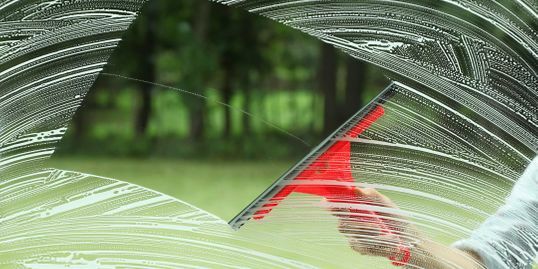 I have had Shining windows clean my home windows as well as my business windows with no disappointment. If you want a professional company that puts their clients first, this is the company you want working for you. Recently had Shining Windows clean the windows on my home. I was very satisfied with the service. Joel is very professional and paid close attention to all the details. I would highly recommend him and his company. I look forward to having them out again this Spring. Two gentlemen came to my place of work last week and did an amazing job! It was in the middle of the work day and they were extremely professional and courteous! Not to mention, the windows look fantastic. Joel is one of the most professional and courteous people I’ve ever met. He is highly skilled at what he does and truly gives people the best quality, and value. You HAVE to hire him. Shining Windows cleaned glass table tops at The Paragon of Madisonville, and we have been so pleased. They were professional and detailed. Would highly recommend! We just had Shining Windows to our house today. Great job!! Great price!! I would definitely recommend them. We will use this service again!! Shining Windows provided very professional services, from the quote to conducting service. Their communication was excellent, too. I highly recommend them. Our windows are now "shining". This guy does a great job!!!!! Highly recommend Joel Lamb of Shining windows! Great job! Thanks to Joel at Shining Windows for making our windows look wonderful! You did a great job! Didn't realize how dirty our windows were until you cleaned them. Professional and always very pleasant to do business with. Joel keeps our office windows looking tip top. Copyright © 2018 Shining Windows website - All Rights Reserved.